Over the years I have installed a wheel sensor on many different cars, usually in about 20 minutes on the day of a rally. This is a common occurrence for an itinerant rally navigator. Often when I get asked to be a navigator for someone in their car, I use my own rally timing equipment because in many cases it is better for the particular rules of the rally or the owner’s car is not a commonly-used rally car. In addition, sometimes it is useful to install a wheel sensor on a rental car. In order to install a wheel sensor in short order both speed and installation flexibility are needed. This post illustrates one way that I can do this. The first step is to replace the lug nuts on the wheel that will be used to drive the wheel sensor with lug nuts that will allow the plate to be added onto the wheel. 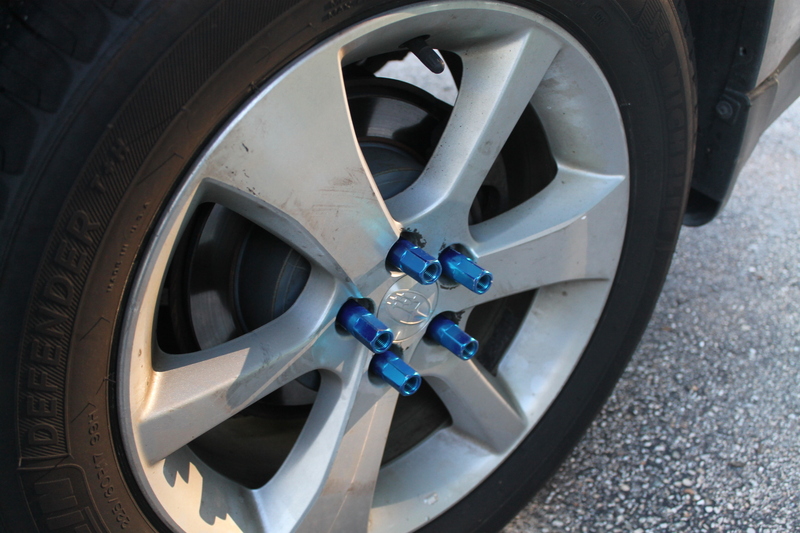 The extended lug nuts shown above were originally manufactured for “bling” on wheels. These lug nuts originally had pointed ends mounted on them. 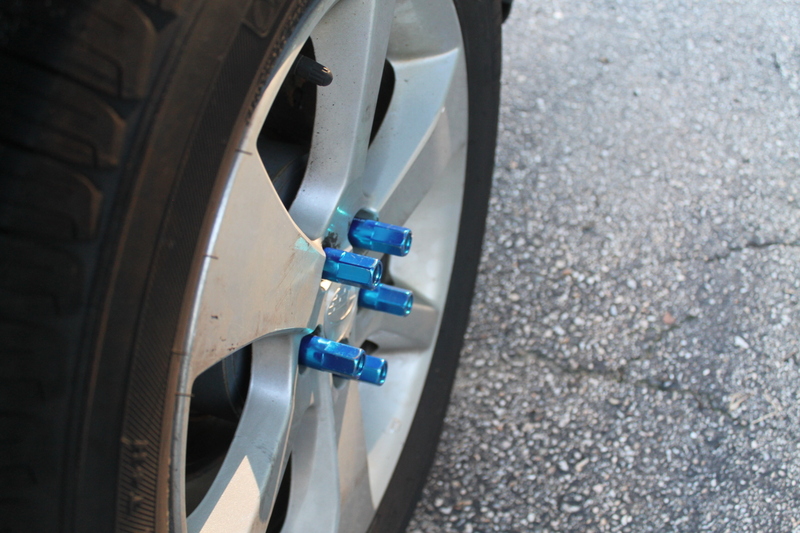 The extended lug nuts allow bolts to be installed on the end of them. this provides an opportunity to add the mounting plate. 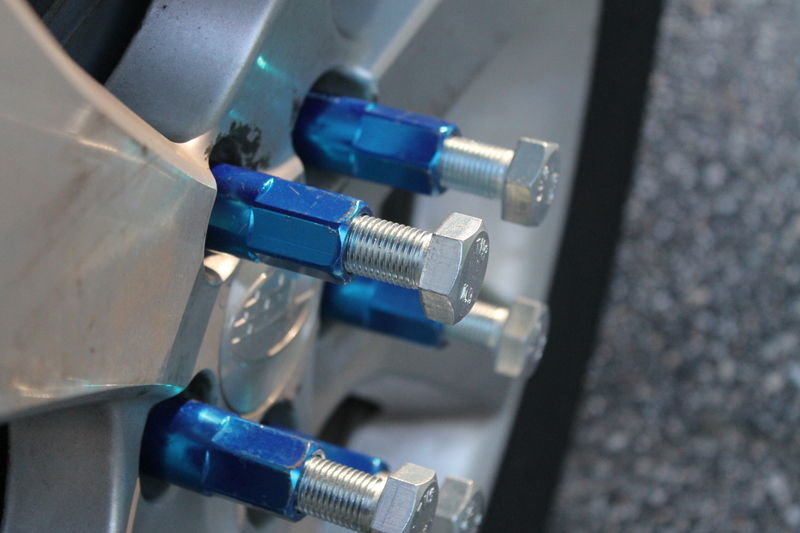 The above image demonstrates how bolts can be installed in the end of the extended lug nuts. You need to be careful that the size and bolt threads match up properly. A useful mounting plate needs be adaptable to various bolt pattern diameters. 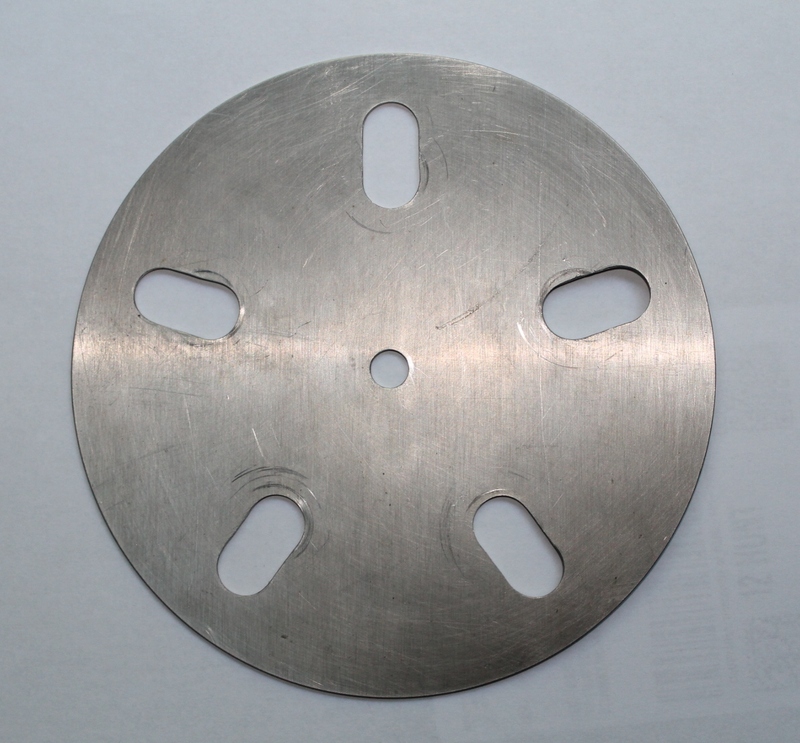 The stainless steel wheel plate that I had made up by a local machine shop is shown below. The wheel mounting plate with the slotted bolt holes shown above can be installed on various diameters of five-bolt lug nut patterns. Using stainless steel increases the useful life span of this plate and provides the needed strength. The center bolt hole is sized specifically for the EZ Pulse wheel sensor that I have. The image above shows an EZ Pulse wheel sensor, made by Alfa Small Systems, mounted using the wheel mounting plate. 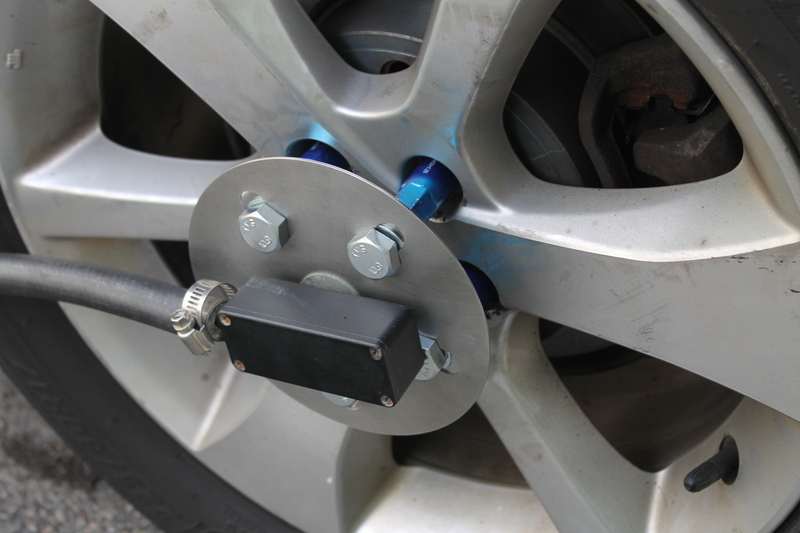 The plate rotates with the wheel, but the magnets inside the wheel sensor generate the needed electrical pulses to be sent to the rally odometer. This setup can be installed in just a few minutes. This entry was posted in Uncategorized and tagged rally equipment. Bookmark the permalink. I have done that before, but many owners and rental companies don’t want me or anyone else drilling a hole in the center of their wheels. I have several pre-drilled Mercedes-Benz center caps that I can use.